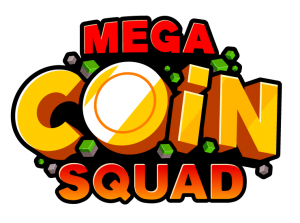 Mega Coin Squad, brought to us by London based Big Pixel Studios is a frenetic 2D action-platformer for 1-4 players locally. You have the option of 5 playable characters from the beginning (with another character being unlocked later in the game), each with their own advantages and disadvantages. Each character has a short backstory as to why they are on Mega Coin Island, but long story short, they all need money and Mega Coin Island is the answer. Your goal is to make your way through Mega Coin Island collecting coins and banking them in the piggy bank on each stage. At the beginning of each stage you will be given your target number of coins to bank, which you can do at any time by returning to the piggy bank in the centre of the stage by pressing Y. If you get hit whilst holding coins, not only will you lose a life, you will also lose the coins on hand at the time. There are power ups which decrease the amount of coins lost when hit but more on that later. Each character starts with the ability to jump, dash and shoot fireballs. The attributes that differ are Speed, Acceleration, Weight and Power. As you can see from the screenshot below based on best times, Chunk was my favourite character (quite fitting), simply because of his power. My doppelganger minus the grey in his beard. During each stage the landscapes will change periodically giving you new opportunities to grab coins and also bring along new traps and enemies. You really need to pick your battles depending on your current upgrades and power-ups. You don’t really want to be messing with spike pits unless you have the invincibility power-up handy for example. 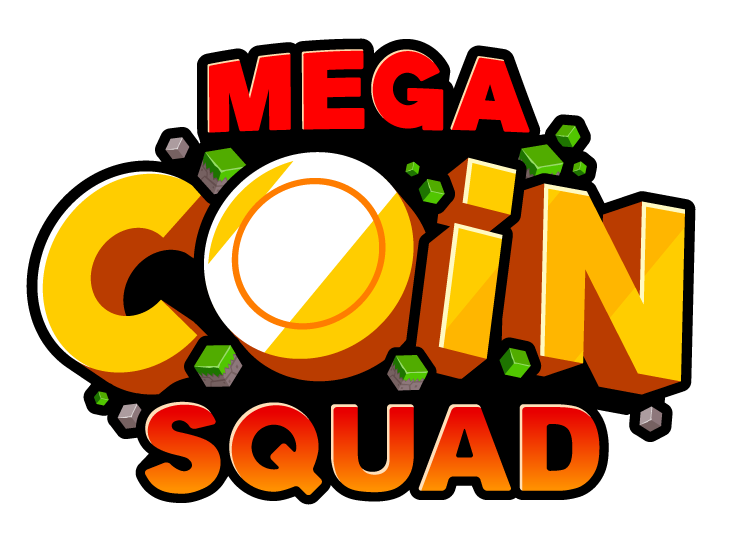 In Mega Coin Squad there isn’t really an option to take your time and be cautious. Each stage has a time limit and if you don’t bank the amount of coins required, you need to restart. This keeps the gameplay fast paced and edgy. On more than one occasion I found myself on the edge of my seat trying to avoid the traps and enemies because I didn’t want to get hit with 900+ coins on hand. Mega Coin Squad is split up into 4 different areas, each with 4 stages. In the final stage of each area you are tasked with defeating all the enemies that spawn in waves and banking the Mega Coin for that area. These final stages don’t have any challenges attached to them and they are generally a lot easier than the regular stages which I found to be a bit strange. Each stage has 3 challenges to aim for. Don’t get hit, bank all coins needed in one go and beat the par time. For each challenge you complete, you get a Diamond to obtain a random upgrade. These upgrades range from new weapons to double jumping and power-ups you can pick up during the stages. With these being random, each play through almost always needs to be approached differently. A few times I found myself a few stages in praying for the double jump ability to be unlocked because without it, the ever changing landscapes are harder to reach. The local co-op for Mega Coin Squad is really where the game shines. You have 4 game modes to choose from, Bank the coins, Mega coins, Death match and Hold the rainbow. Bank the coins and Mega coins works similarly to their single player counterparts, Death match speaks for itself and Hold the rainbow is like the Oddball game mode in Halo. You have to find and keep hold of the Rainbow ring whilst moving to generate coins. I played local co-op with my 4 year old son and we had a blast. It really had a super smash bros. vibe to it for me, not necessarily in gameplay but how manic it was battling to grab the most coins. Even though the soundtrack and 16-bit graphics are most definitely retro, it doesn’t feel like an outdated game. I know there’s been a big influx of retro styled games, but it really works with Mega Coin Squad. Big Pixel Studios really did a great job with the music. It keeps in sync with the frantic pace of the gameplay and it certainly kept me pumped to keep on playing. 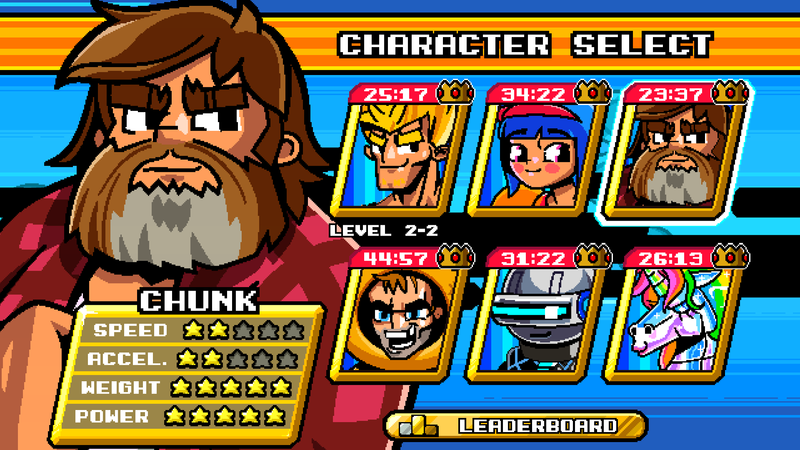 Even though the gameplay is great, there are a couple of niggles in Mega Coin Squad. Firstly is the length of the single player. My first playthrough clocked in at around an hour, and that was with completing all challenges for every stage. This could be quite disappointing for some but if you are wanting to complete the game, achievements and all, you’re going to have to play through it at least 6 times plus bank a total of 100,000 coins. My only other issue was the lack of online multiplayer. That would have been immense. Not everyone has 3 other people to play with at home, so online multiplayer really would have added so much more to an already fun filled game. 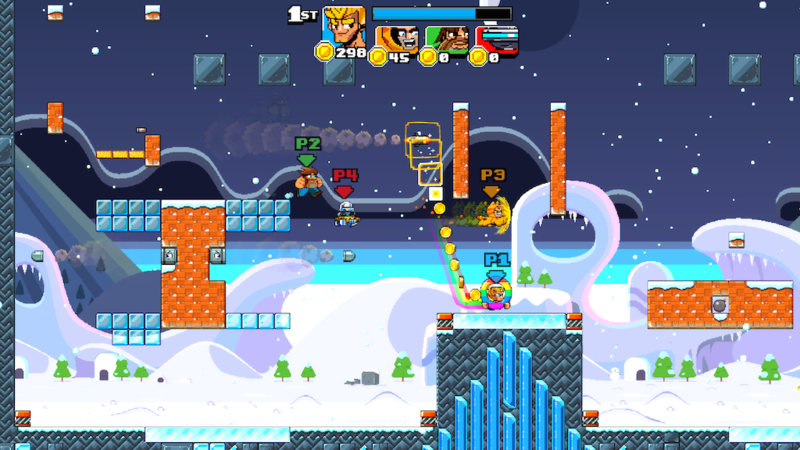 All in all, Mega Coin Squad is a fantastic, action packed platformer with very little single player content and lacking an online multiplayer. However, don’t let that put you off. The gameplay is intense and brilliant, the random upgrade system along with the random environments gives you plenty of variety within the small world and the local multiplayer is crazy fun. A digital copy of Mega Coin Squad was provided by the Developers for the purpose of this review.